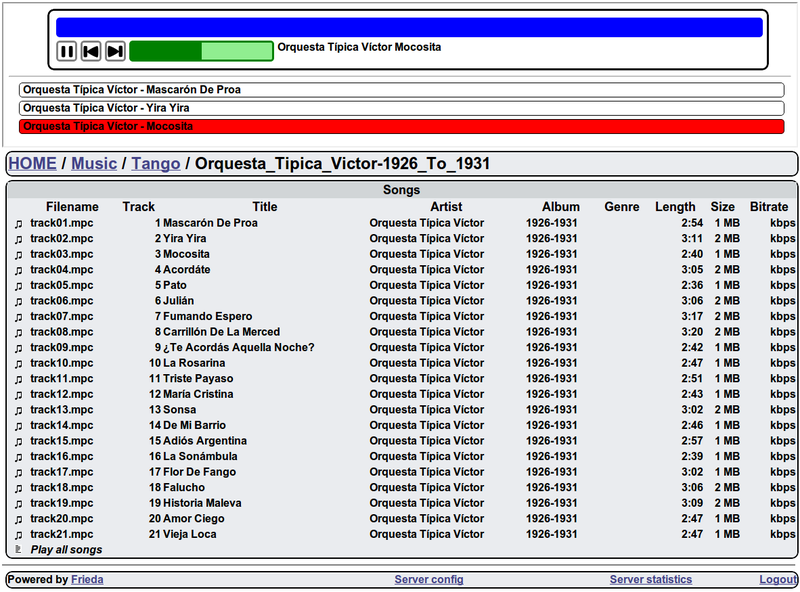 Frieda is a simple server for your music collection. It makes it possible to play your music remotely with just an html5 enabled browser. Frieda was inspired by the now defunct Edna server.